I will post your article to my PR4 Domain Authority 40 health blog. If you prefer I can write the post for you, just purchase an add-on. This way you do not have to provide the post yourself! Guest posting has traditionally been one of the most effective ways to build links to your site. After Google Panda update, it is the best way to improve your rankings in a safe and natural way. ✦Post will stay permanently on my site. I have the rights to refuse the order if the content is duplicate, or promotes adult websites. Please send me a unique article you would like me to post on my blog. If you would instead like me to write a relevant unique article for you, then please remember to purchase an Hourlie Add-on. Great job! Will buy again. Thank you! Good job again. Do you require a UK based SEO content writer and link builder? 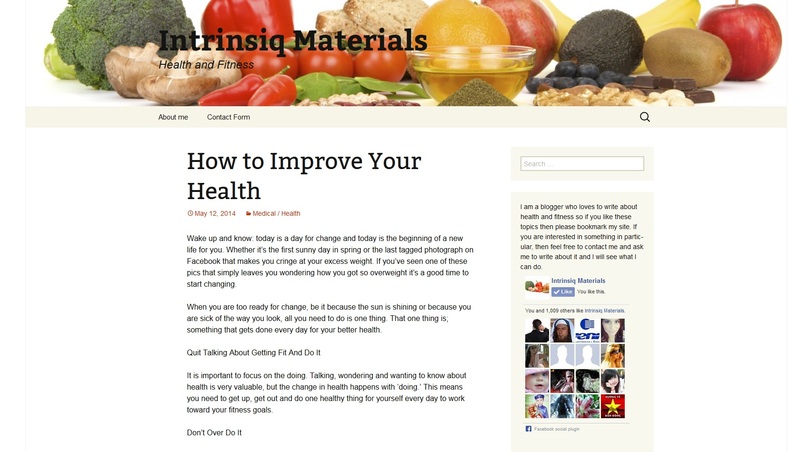 I can publish your guest posts on quality sites and create engaging content for your website. Please get in touch and...Read moreDo you require a UK based SEO content writer and link builder? I can publish your guest posts on quality sites and create engaging content for your website. Please get in touch and we will discuss the details.